Description: The Charter, which measures ' 50.5 x 37.5 is located in the Atlas Theatrum Orbis Terrarum sive Atlas Novus-tertia pars of Guilelmus et Ioannis Blaeu, printed in Amsterdam in the workshop of Giovanni Blaeu in 1650. 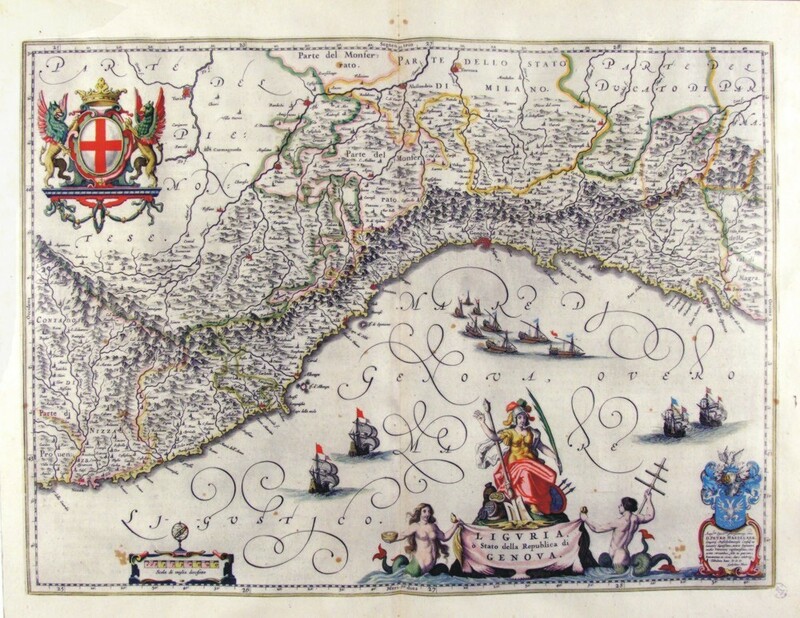 Charter graphically pleasing enriched by lÂ±d and drawing with a large number of vessels sailing in the Gulf of Genoa. 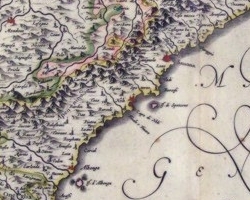 Liguria is surrounded by a circle montano and North is a part of Monferrato and the rule of Milan.